The last decade has seen significant advances in the growth and quality of single crystal diamond in the laboratory by both Chemical Vapor Deposition (CVD) and High Pressure High Temperature (HPHT) techniques. These advances are now enabling a wide range of new applications for single crystal diamond. 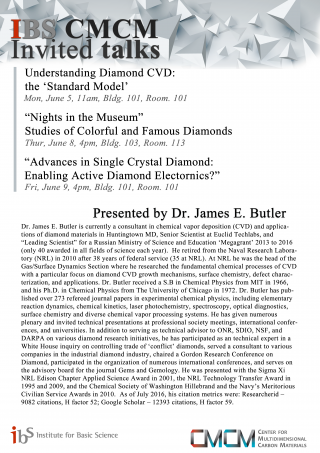 I will touch upon many of these diverse applications, but will focus on recent developments that impact and enable the use of diamond in active electronic devices with particular focus on the ‘Delta Doping’ of diamond.